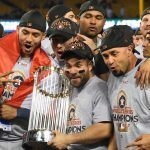 The World Series odds favor the winner of the Houston Astros and Boston Red Sox American League Championship Series (ALCS), with the winner of the National League pennant expected to be the underdog in the Fall Classic. 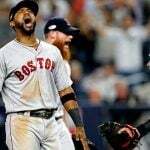 Last night, the Red Sox fended off the New York Yankees in dramatic fashion after the Bronx Bombers rallied for two runs in the bottom of the ninth. A close call at first on Gleyber Torres’ grounder was confirmed through replay as the third and final out of the Yankees’ season. The Red Sox advance to play the Houston Astros, which swept the Cleveland Indians. Boston had the best regular season record in baseball at 108-54. The ‘Stros, however, were next at 103-59. 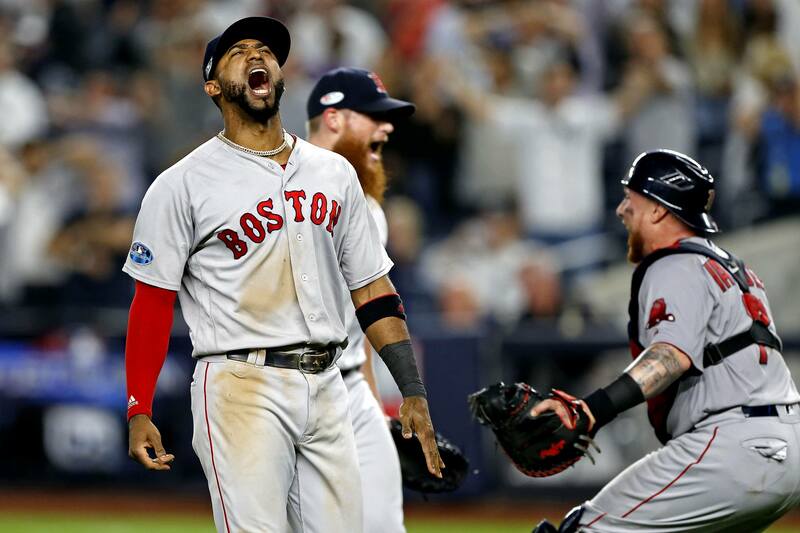 Despite Boston owning home field advantage in the best of seven ALCS, the Westgate SuperBook is opening its series price with the defending World Series champs a slim favorite. The Astros are at -120 to advance to the World Series, while the Red Sox are even. A $100 bet on Houston would net $83.33. The same gamble on Boston would return $100. Game one of the ALCS is Saturday at 8:09 pm ET in Fenway. In the National League, the Milwaukee Brewers, which swept the Colorado Rockies, will take on the Los Angeles Dodgers, which eliminated the Atlanta Braves in four games. Though the Dodgers are the defending NL pennant winners, the Brewers will have home field advantage after going 96-67 during the regular season to Los Angeles at 92-71. However, the SuperBook feels the Dodgers are the better team, and have the game one visitors at -150 to emerge in the best of seven. The Brewers open at +130, or implied odds of 43.5 percent. A $100 wager and Milwaukee advancing nets $130. The same bet on the Dodgers returns just $66.67. 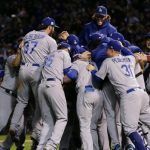 The Dodgers won the regular season series 4-3 against the Brewers. Game one of the NLCS is Friday at 8:09 pm ET in Miller Park. As for which of the four remaining teams wins the Commissioner’s Trophy, the SuperBook feels the winner of the ALCS has the best odds. The Astros have the shortest line at 2/1, but the Red Sox follow closely at 9/4. The Dodgers (3/1) and Brewers (4/1) are the underdogs heading into the championship series. MLB did away with the All-Star Game deciding which team would have home field advantage in the World Series for the 2017 Fall Classic. The determination is now dependent on which team won more regular season games. That means the American League pennant winner will have home field advantage, as the Red Sox and Astros both had better records than the Brewers and Dodgers. Prior to opening day, the Astros were at 4/1 to win the 2018 World Series, and the Dodgers the second-shortest team at 5/1. The longest preseason team of the four was the Milwaukee Brewers at 30/1. For every $100 printed on those odds, the fortunate bettor will net $3,000 should the Brewers win the World Series.